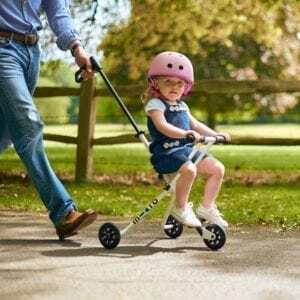 Beautifully designed and exquisitely engineered this clever multi-adaptable, ride-on scooter will see your child through from their first toddles, to their first year at school. With a unique storage drawer, adjustable handlebar, removable fun light and parent steering pole, the versatile Mini2Go Plus is brilliantly engineered. Converts from a ride on with storage, to a sit on scooter, then the adjustable handle bars will grow with your child and allow them to clock up the Micro miles until their first year at school. With a stylish and colourful design, strong frame and award winning Swiss craftsmanship, the Mini2Go is the perfect scooter for your toddler. The Mini2Go Deluxe Plus works as a ride on scooter with adjustable handlebar and removable drawer (perfect for toys, nappies and parenting essentials). Inside the drawer is a light which can be removed and used as a riding light. The Mini2Go Deluxe Plus also includes a steering pole allowing you to take control when necessary. When not in use, the pole can be stored in the drawer. 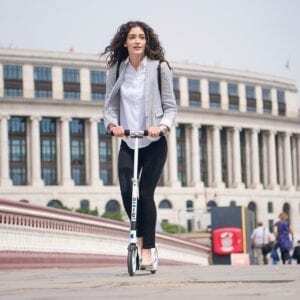 The Mini2Go Deluxe Plus can be used as a ride on scooter without the storage compartment. 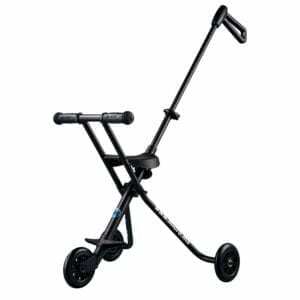 Remove the storage drawer and seat turning the scooter into a Mini Micro Deluxe Plus scooter with the handlebar at its lowest setting (43cm). 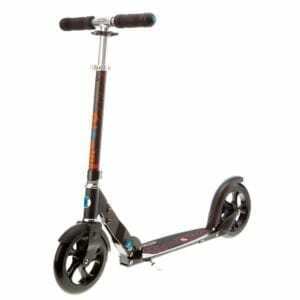 Brilliantly engineered with lean to steer style scooting, your child will develop a keen sense of balance and co-ordination as they ride.